Washington D.C. – The National Association of Latino Elected and Appointed Officials (NALEO) Educational Fund today released its analysis assessing Latino gains in Congress and statewide office in 2018. A full roster of Latinos that will serve at these levels of office (including a breakdown by state and political party) is available here. Following Election 2018, the 116th Congress will feature the largest class of Latinos in history. The U.S. House of Representatives will feature two more Latino members than in the 115th Congress, increasing from 34 to 36 (with the possibility of 37 if Xochitl Torres Small is declared the winner in yet to be decided close contest for NM-2). * In Congress’ upper chamber, four Latinos will continue to serve in the U.S. Senate. Latinos in the U.S. Senate Post-Election 2018: The number of Latinos serving in the U.S. Senate will remain at four. Both incumbent U.S. Senators Ted Cruz (R-TX) and Robert Menendez (D-NJ) won their re-election bids. 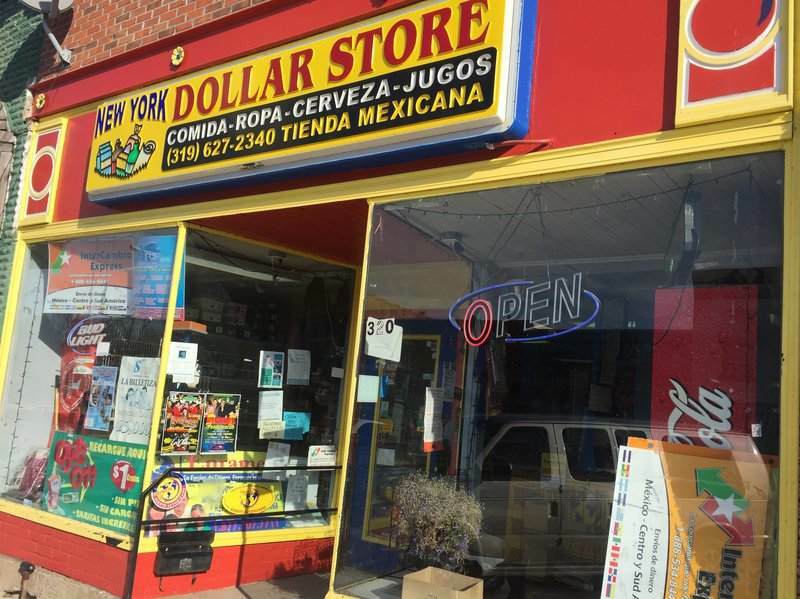 They will return to join current Latino U.S. Senators Catherine Cortez Masto (D-NV) and Marco Rubio (R-FL) in Congress’ upper chamber. However, Utah Senator-elect Mitt Romney's father was born in Mexico but does not claim being Latino. Party Breakdown: Following Election 2018, 31 Democrats and five Republicans will serve as Members of Congress (up from 27 Democrats and seven Republicans). Gender: The number of Latinas serving in the U.S. House of Representatives will increase by 2 (25 Males and 11 Females) from the previous Congress (25 Males and nine Females). Election 2018 also featured the election of the first two Latinas to represent Texas in Congress. New Faces: There will be eight new faces when the U.S. House of Representatives gets sworn-in in the new year, including four new Latinas: CA-49: Mike Levin (D) FL-26: Debbie Mucarsel-Powell (D) IL-4: Jesus 'Chuy' Garcia (D) NY-14: Alexandria Ocasio-Cortez (D) – youngest person elected to Congress NY-19: Antonio Delgado (D) OH-16: Anthony Gonzalez (R) – first Latino Member of the House from Ohio TX-16: Veronica Escobar (D) – one of first two Latinas in House from Texas TX-29: Sylvia Garcia (D) – Former NALEO President and one of first two Latinas in House from Texas. Latinos in Statewide Office: Class: Following Election 2018, the number of Latinos in statewide office will increase from 13 to 14. * This is a historic high for Latinos. Party Breakdown: There will be an increase in the number of Latino Democrats serving in statewide office, increasing from six to 11. Latino Republicans serving in statewide office will decline, shifting from seven to three post-election. 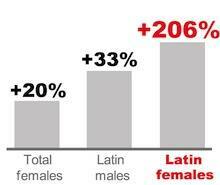 Gender: The number of Latinas serving in statewide office will increase by one (Nine Males and five Females). *Note: Election results are based on those published by states or media sources as of the writing of this release and are not yet official. WASHINGTON, D.C. – Five weeks before Latino voters head to the polls for the 2018 midterm elections, the National Association of Latino Elected and Appointed Officials (NALEO) Educational Fund and Latino Decisions released the results of the fifth wave of its ten-week national tracking poll of Latino registered voters. Results from the fifth week of the NALEO Educational Fund/Latino Decisions National Weekly Political Tracking Poll offer exclusive insights into the Latino electorate this year, including opinions on whether U.S. Commerce Secretary Wilbur Ross should testify as part of the lawsuit over the addition of a census citizenship question and their level of trust in the Administration to keep confidential the citizenship information collected in Census 2020, the importance of a full and accurate count of Latinos in Census 2020, Supreme Court nominee Brett Kavanaugh favorability trends, and more. Each week a fresh sample of 250 registered voters will be added and combined with the previous 250 interviews to create a rolling average, consistent with most tracking polls methodology. This week’s poll of Latino registered voters nationwide was conducted by Latino Decisions from September 19 – October 1, 2018 (with a margin of error of 4.4 percent). Census 2020 is significant to Latino voters. 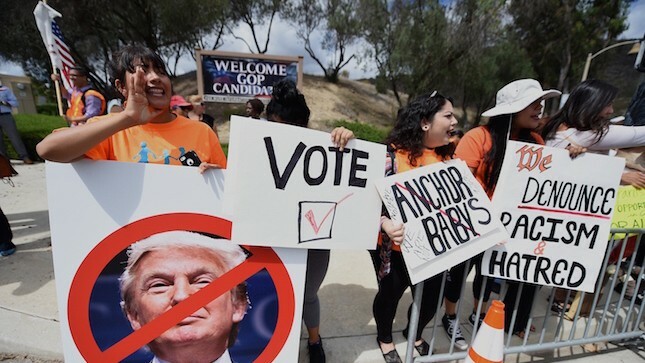 The nation’s upcoming decennial count is critical to the Latino electorate, with 93 percent stating that it is important for the Census Bureau to implement a complete and accurate count of the entire Latino population and that nobody is left out. There is deep distrust that the Trump Administration will keep confidential the citizenship status information they collect in Census 2020. Despite being against the law for the Census Bureau to share personal information, more than two-thirds (68 percent) of Latino registered voters, who are U.S. Citizens, do not trust the Trump Administration to keep confidential the private information it collects, including the citizenship status of immigrants. Latino voters believe citizenship status and other private information will be shared with federal agencies like ICE. With the addition of a citizenship question on the 2020 census, more than three-fourths (79 percent) of Latino registered voters are concerned that census answers about people’s citizenship status could be shared with other agencies such as Immigration and Customs Enforcement (ICE). Results show that concern for mixed-status households is high when it comes to Census 2020. Support for Secretary Ross to testify as part of the lawsuit opposing the citizenship question addition is high. More than three-fourths of Latino registered voters think Secretary Ross should turn over all memos and emails related to the citizenship question, and testify as part of the order from Judge Jesse Furman of the U.S. District Court for the Southern District of New York. Shift to filling out the Census 2020 form online is met with mixed feelings. Only slightly more than half of the Latino voters polled (53 percent) felt comfortable sending their household information for Census 2020 to the Federal Government through the Internet, with the remaining stating they were not. Supreme Court Nominee Brett Kavanaugh’s favorability ratings continue to decline. The fifth wave of the poll results reveal that the number of Latino registered voters who hold unfavorable views of Kavanaugh is growing, increasing from 38 percent in week three to 51 percent in week five. As we near Election 2018, NALEO Educational Fund will continue its efforts to ensure that Latino voters have the information necessary to make their voices heard at the ballot box. These efforts include operating our toll-free bilingual hotline 1-888-VE-Y-VOTA (1-888-839-8682) that provides Latino voters with information on every aspect of the electoral process, from registering to vote, to voter ID requirements, to finding their polling place. On Election Day, the hotline will be connected to the Election Protection efforts and 1-866-OUR-VOTE, offering Latino voters nationwide a bilingual resource to get assistance and report any problems they may experience at the polls. To view the methodology and full toplines for week five of the ten-week tracking poll, visit http://www.latinodecisions.com/index.php/download_file/767/. NALEO Educational Fund is the nation's leading non-partisan, non-profit organization that facilitates the full participation of Latinos in the American political process, from citizenship to public service. Latino Decisions is the nation's leading polling and research firm on Latino Americans, being called the "gold-standard in Latino American polling" by Time Magazine, and has implemented its weekly political tracking poll of Latino voters every cycle since 2010. 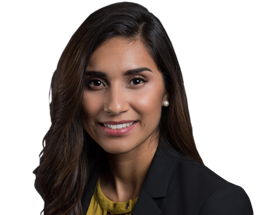 (SACRAMENTO) – Assembly Bill 2123 by Assemblymember Sabrina Cervantes (D-Corona), photo above, was signed into law by Governor Jerry Brown this week. 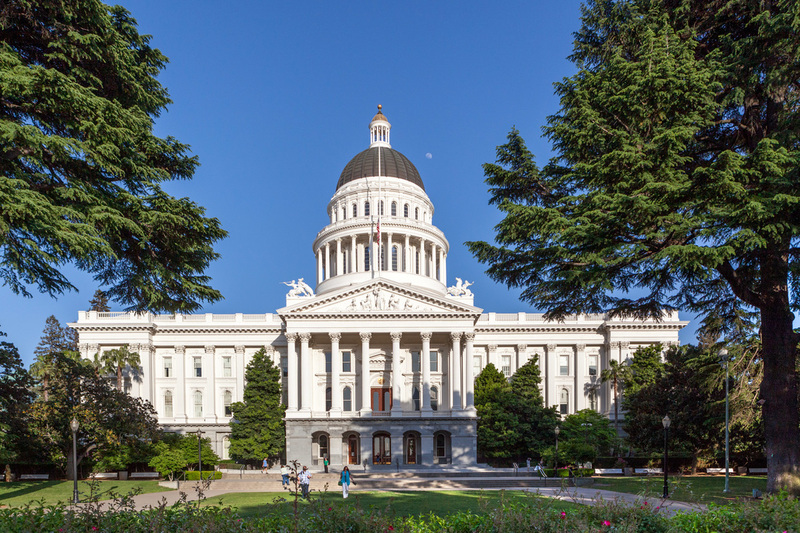 AB 2123 would reform the existing process for local governments to transition to district-based elections by providing for a mutually agreed-to extension of up to 90 days to continue negotiations between local governments and potential plaintiffs. The bill is, in part, a response to pending litigation that the City of Norco is facing due to their at-large election system. However, as this legislation cannot affect ongoing or pending litigation, the bill would not affect the City of Norco directly. AB 2123 will apply prospectively to local governments beginning January 1, 2019. AB 2123 is a consensus measure supported by the League of Cities, as well as voting rights organizations such as MALDEF, the ACLU, and Common Cause. You can find more information about AB 2123 here. This summer, the Congressional Hispanic Caucus Institute (CHCI) hosted its eighth R2L® NextGen class, comprised of not one but two cohorts of students, engaging a record 100 high school students from 13 different regions, including Puerto Rico. Participating in the highly competitive program, students developed a deeper understanding of their role as engaged citizens through workshops, trainings, and face to face meetings with Latinos leading change in Washington - including 23 Members of Congress! To learn more about these amazing students and their accomplishments, click here. Interested in applying to the 2019 program? Applications launch October 15 and will be due January 15, 2019. Visit CHCI for more details. Verizon ⬩ American Fuel & Petrochemical Manufacturers ⬩ Univision Communications. Inc.
For sponsorship opportunities please contact us at development@chci.org. SACRAMENTO – Opponents of the ballot initiative to split California into three new states today applauded the unanimous decision by the California Supreme Court to hear its case to prevent the “3 Californians” measure from appearing on the state’s November ballot. The challenge of the decision was led by the legal team of Kirk Dillman, Robby Mocker and Michael Miguel of McKook, Smith Henn, co-counsel with Carlyle Hall. SACRAMENTO - Today it was announced that California Secretary of State Alex Padilla will Co-Chair the National Association of Latino Elected and Appointed Official’s bipartisan National Latino Commission on Census 2020. “A fair and accurate 2020 Census requires that everyone in the United States is counted, including members of the Latino community. The NALEO Educational Fund established the National Latino Commission on Census 2020 to compile crucial information about the impact of the challenges facing Census 2020 on achieving a fair and accurate count of the Latino community and all of our nation’s residents. The Commission will prepare a report that will include recommendations and best practices to address these challenges, and will be used to inform the future work of policymakers, elected officials, civic and community leaders, and other stakeholders. The Commission will convene five to seven regional field hearings to solicit testimony from public officials, community organizations, and other stakeholders who are familiar with hard-to-count communities in the region. These hearings will address: The impact of the Bureau’s Census 2020 operational plans on Latinos and other hard-to-count communities, including the changes from approaches used in Census 2010; The impact of the addition of a question on citizenship to Census 2020, including the effect on Latino participation in the Census; Assessment of community members’ experiences with the Bureau’s communications and outreach activities; Best practices for reaching and engaging Latinos and other hard-to-count populations to participate in Census 2020, including recommendations for ameliorating the undercount of very young children (under age five) which occurred in Census 2010; and Any other issues relevant to the purpose of the Commission. NALEO Educational Fund established the National Latino Commission on Census 2020 to help promote a fair and accurate count of Latinos and all of America’s residents. The Commission will terminate 60 days after the date on which the Commission publishes its final report. As we watch the leadership crises of two historically significant, national Hispanic interest groups, we are reminded of something that was said by Hispanic comedian George Lopez: “When things are bad, it’s the best time to reinvent yourself.” These are important words for the Hispanic community to remember right now. We are living through a time that could deeply impact the position and role of our community; this is a good time to think again about how we are represented at a national level. Both the U.S. Hispanic Chamber of Commerce (USHCC) and the League of United Latin American Citizens (LULAC) have long served as gathering places for Hispanic Americans, offering national representation for our community as individuals and as business owners. Unfortunately, neither organization has strong footing at this moment. The board at USHCC has dismissed its president and CEO amid a sensational scandal involving accusations of financial and personal impropriety. Meanwhile, LULAC’s president is facing calls for his resignation after he applauded President Donald Trump’s plans for immigration reform. 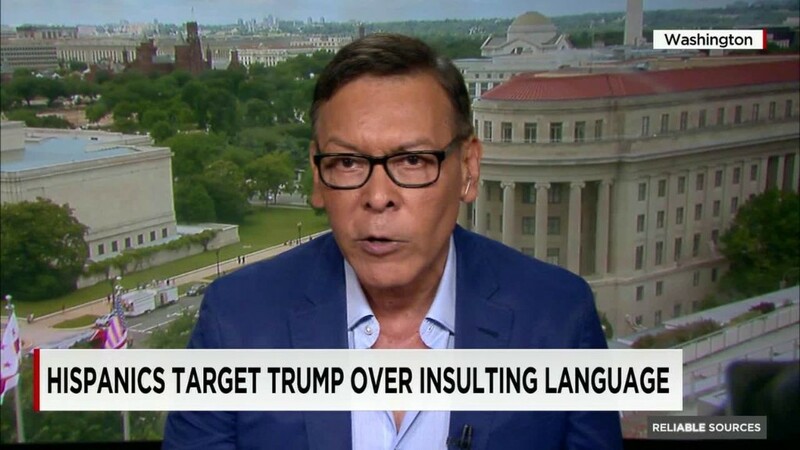 In both cases, it strikes us that the role of the individual became greater than the role of the group — this is the beginning of the end of any effective leadership, and it pains us to see it happening in the Latino community in such a public way. Like any national leader, the men and women who preside over Hispanic organizations must put themselves and their personal views last while they faithfully represent their membership. The day an organization president or CEO believes that he or she is the organization is the day the organization begins to crumble. Much like America herself, national advocacy groups (Hispanic or otherwise) do better when their power comes from — and remains with — the state and local level. As the heads of state and local Hispanic chambers of commerce, we are looking for national representation that recognizes that our organizations are in the best position to serve Hispanic business owners because we know them, and work with them, personally every day. Our groups will happily partner with organizations that can represent us in Washington, D.C., but our independence is important. 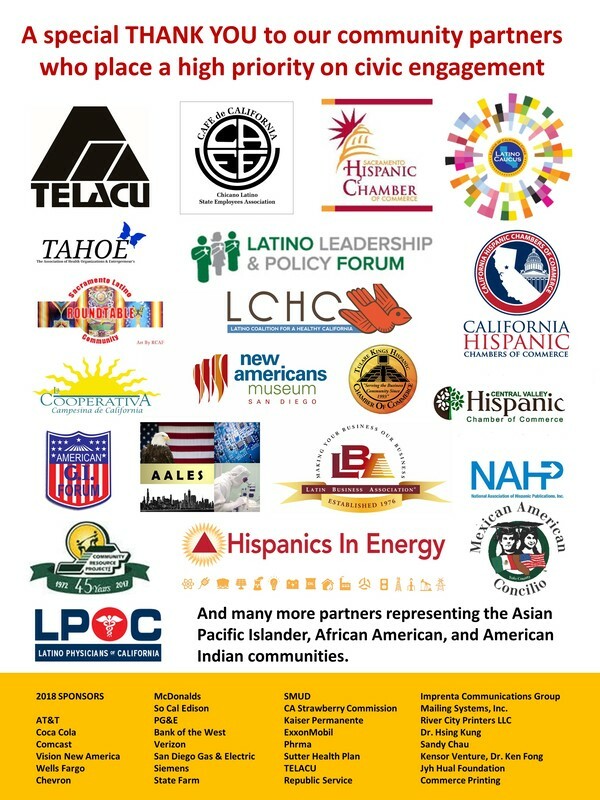 In the coming days, more than a dozen other heads of local and state Hispanic chambers in co-hosting a meeting of The Latino Coalition (TLC) — another national group that represents Hispanic entrepreneurs and consumers in the corridors of power in Washington, D.C. TLC’s focus is on business and economics, and on the public policies that provide the best opportunities for Hispanic Americans, particularly those who are starting or running their own businesses. Those of us who are partnering with TLC are responding to their mantra of “leadership, integrity, community and partnership.” Our experience with TLC has been one where we are treated as equals. We have never been treated as “little” chambers, but instead as leaders ourselves. There is recognition that state and local Hispanic chambers are an important and lasting tradition that should be leveraged for the good of our community, not exploited for the benefit one or two high-profile officials. TLC’s approach is certainly influenced by its leader — Hector Barreto, Jr. — who is the son of a well-remembered, well-loved leader in our community. Hector Barreto, Sr., was one of the original founders of the U.S. Hispanic Chamber of Commerce. He was the visionary who, some forty years ago, first conceived of a national gathering place for state and local Hispanic chambers. At a time when we have an opportunity to reinvent our national profile, Hispanic Americans should look for the leaders and groups who, like Barreto’s original Chamber, put us ahead of their own self-interest. That is where we will find a national gathering place and the voice we need during these consequential times. Julian Canete is the president and CEO of the California Hispanic Chambers of Commerce; Peter Guzman is the president and CEO of the Latin Chamber of Commerce — Las Vegas, Nevada; Cindy Ramos-Davidson is the president and CEO of the El Paso Hispanic Chamber of Commerce; Carlos Gomez is the president and CEO of the Hispanic Chamber of Commerce — Greater Kansas City; Michel Zajur is the president and CEO of the Virginia Hispanic Chamber of Commerce. SACRAMENTO – Today, Senate Bill 17, authored by Senator Dr. Ed Hernandez, O.D., now heads to the Governor after receiving a final bipartisan vote of 31-8 by the entire Senate. SB 17 will force pharmaceutical companies to explain their reasons for rising drug prices. “California will soon be able to bring some much needed information regarding drug pricing by pharmaceutical companies. 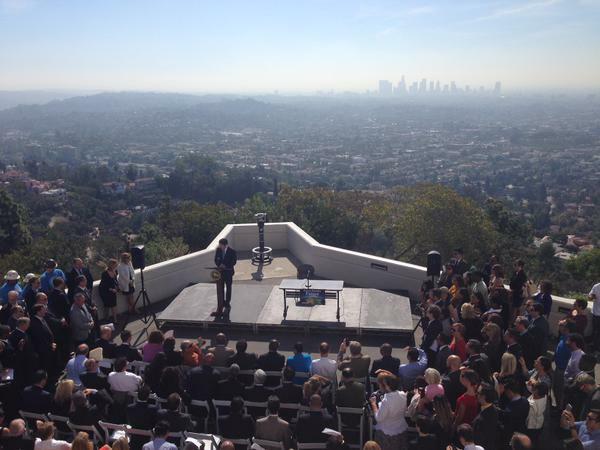 Although this state legislation was passed in California, it’s a monumental achievement for the entire nation. If signed into law, SB 17 will set national health care policy, having impact for consumers and providers in other states. Price increases don’t happen in a vacuum. SB 17 is one of the most transformative pieces of health legislation in the country. “While pharmaceutical companies expended considerable resources to kill this bill, the California State Legislature stood strong on behalf of consumers. In the end, the issue of skyrocketing prescription drug costs isn’t a partisan issue and that’s been evidenced by the fact that we’ve brought together a bipartisan and diverse group of stakeholders. “Moving forward, I encourage the federal government, especially California’s representatives in the U.S. House and Senate, to consider similar legislation as we continue this discussion at a national level. I’m willing to work with policymakers interested in advancing transparency and lowering health care costs. “I believe health care is a human right, and that’s why I have dedicated my life to policies that make it more accessible and affordable for all Californians. We must continue the fight against skyrocketing drug prices. SB 17 now moves to the Governor’s Office to await further action. SB 17 promotes transparency in the health care system by requiring drug makers to give prior notice to purchasers before raising prices and requiring health plans to report the proportion of the health insurance that is spent on prescription drugs. Drug companies try to hide their price gouging by helping consumers with their co-payments or providing discounts to the uninsured, but all this does is shield consumers from the true cost of the drug while driving up insurance premiums for everyone. 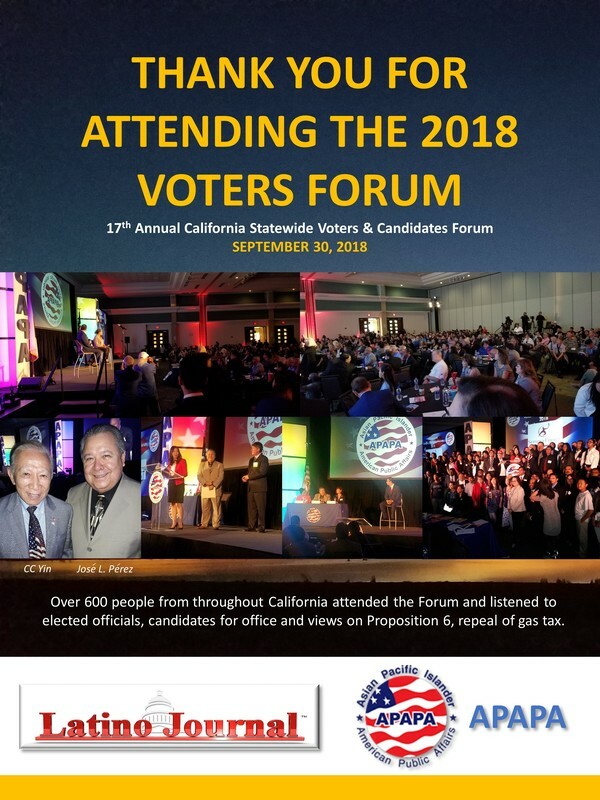 The California legislature is taking legislative action to move the State’s presidential primary election from June to March in hopes of giving California voters a louder voice in national politics. SB 568, authored by Senator Ricardo Lara (D-LA), would do just that. The proposal, if adopted, would give California’s near last primary election to top tier of states. California held its primary election in June in 2016 and resulted in Hillary Clinton winning the election when many thought Senator Bernie Sanders might cause an upset. Placing California among the first states with this kind of result would strongly influence the balance of the primary election process for president with a higher chance of influencing the outcome. Secretary of State Alex Padilla is sponsoring the change and believes it will strengthen California’s influence in future presidential elections. In 2008, California moved up its President Primary to February resulting in the highest voter turnout since 1980. However, according to a spokesman for Senator Lara, California had two primary elections that year resulting in higher costs so the February presidential primary election was scrapped to save money. The Bill would take effect in 2020 the next presidential year. 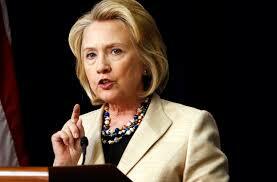 In non-presidential years the primary would still be held in June. SB 568 aligns both the presidential and state elections on the same date so the State would not incur a higher cost to administer the primary election. The new California presidential and statewide primary would be held on the third Tuesday in March and authorizes the Governor to move it even earlier if other states move u their primary elections. The Bill now goes to the Assembly where a similar measure has been introduced by Assembly Member Kevin Muller who is also Assembly Speaker pro Tempore. Given the potential enormous advantage for California the likelihood of this passing and being signed into law is very high. Just five days into office, President Trump today announced his executive order to bolster a wall in the southern border between the United States and Mexico. Reaction from Latino leaders has been swift and contentious to the new immigration policies initiated yesterday from Washington D.C.
“A nation without borders is not a nation,” said President Trump as he addressed personnel at the Department of Homeland Security in Washington DC. “This is a law enforcement agency, but for too long, your offices and agents haven’t been allowed to properly do their jobs,” he said. “A nation without borders is not a nation,” he said. He also committed to hire an additional 5,000 border security agents and increase the number of immigration enforcement officers nationwide. He will be targeting sanctuary cities, local cities that refuse to cooperate with federal immigration cities. The announcement has drawn both criticism and praise. 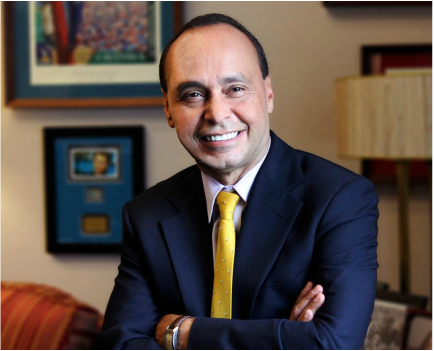 The Hill, an influential publication from Washington D.C. quoted Congressman Luis Gutierrez (D-Ill) “I suspect that a lot of Trump supporters would be just as happy with a big statue of a middle finger pointed south because both are about equally effective as national security strategies. In California, the response was more pointed and more serious. 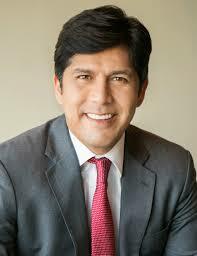 It is led by Senate President Kevin de León (D-LA), Assembly Speaker Anthony Rendon and Governor Edmund G. Brown Jr.
Video clip of California legislative leaders response to Trump's immigration policies. “The next time the President of the United States convenes his most senior advisors and deputies in the Cabinet Room, there will not be a single Latino voice or perspective at the table for the first time in nearly 30 years. “The exclusion of a Latino voice in President-elect Trump’s cabinet is a historic setback for the nation. Latinos are the nation’s second largest population group, one of every four of America’s children, and the highest policy body of the country will now be void of its perspective. “With the success of the Latino community intrinsically tied to the success of the nation, the onus is now on the President-elect to bring in the voice and perspectives of Latinos into his decision making. “There is no shortage of talent among the deep bench of Latino qualified candidates in this country, and a Trump administration will need to ensure these individuals are able to put their skills to work for the good of the nation if we want to move America forward in the coming four years. NALEO Educational Fund released a 2017 Presidential Appointments Primer that provides guidance to Latino candidates interested in serving in the Trump administration. The document is available for download here. The National Association of Latino Elected and Appointed Officials is the non-partisan leadership organization of the nation’s more than 6,100 Latino elected and appointed officials. Washington, D.C. – One day before the last presidential debate in Las Vegas, Nevada, the National Association of Latino Elected and Appointed Officials (NALEO) Educational Fund released new Election 2016 analysis and polling during a briefing at the National Press Club today. Video of the event and all materials are available at www.naleo.org/election2016briefing. Florida: Incumbent U.S. Senator Marco Rubio (R) faces a challenge from U.S. Rep. Patrick Murphy (D). Nevada: Former State Attorney General Catherine Cortez Masto (D) is battling U.S. Rep. Joe Heck (R) for the seat being vacated by retiring Senate Minority Leader Harry Reid (D). 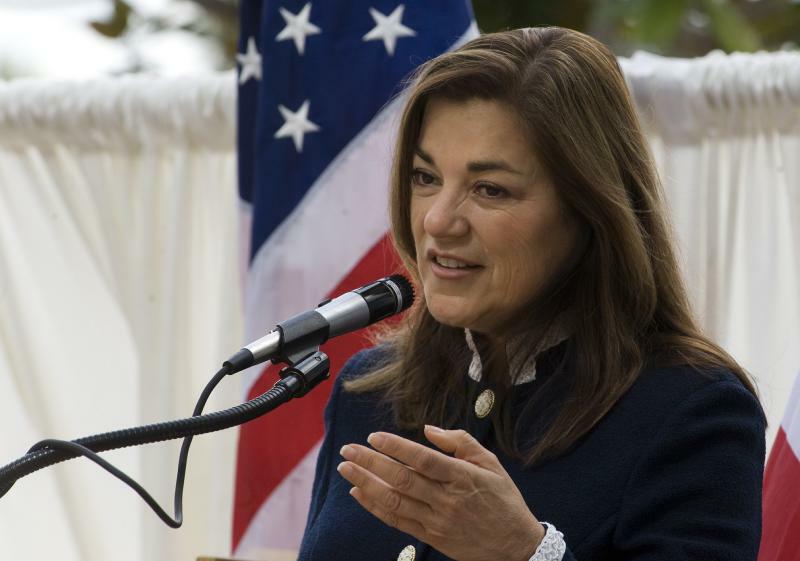 California: U.S. Rep. Loretta Sanchez (D) faces a tougher contest with California Attorney General Kamala Harris (D). If elected, Cortez Masto and Sanchez would be the first Latinas in the U.S. Senate, and the first Latino to serve in Congress’ upper chamber from their respective states. 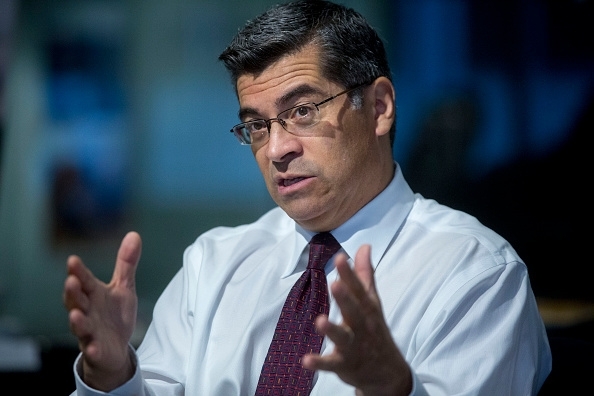 California: Latino candidates for U.S. Representative who have good prospects of winning include Santa Barbara County Supervisor Salud Carbajal (D CA-24), and former state legislator and Orange County Supervisor Lou Correa (D CA-46). Florida: State Senator Darren Soto (D FL-9) is poised to become the first Puerto Rican to represent Florida in the U.S. House of Representatives. New York: State Senator Adriano Espaillat (D NY-13), faces no serious opposition in his contest. If victorious, Espaillat would be the first Dominican American to serve in the U.S. House. Texas: Attorney Vicente Gonzalez (D TX-15) faces excellent prospects of victory for the seat being vacated by retiring U.S. Rep. Ruben Hinojosa (D). At the statewide executive level, five Latino candidates are running in four states, including Indiana (2), New Mexico, Delaware and Illinois. The number of Latinos in State Senates could increase from 73 to 80 after Election 2016, with potential net gains in Arizona (3), Florida (1), Illinois (1), West Virginia (1), and Wyoming (1). In state lower houses, there could be a net increase in the total number of Latinos from 234 to 245. California may see the largest potential net gain (3), followed by Colorado and Florida (2 each). States which could see net losses include Illinois, Kansas, Michigan, New Hampshire, and New York. Key issues for Latino voters vary state-by-state, especially with regard to passing comprehensive immigration reform. Florida Latino voters did not see this as one of their top three issues (terrorism ranked highest) this election, compared to voters in Nevada and North Carolina who noted it as their top issue in 2016. The Latino electorate is expected to play a decisive role in Election 2016, with NALEO Educational Fund projecting that more than 13.1 million Latinos will cast ballots nationwide. In lead up to Election Day, NALEO Educational Fund will continue its efforts to ensure Latino voters are prepared to cast ballots this year, including operating our toll-free bilingual hotline 1-888-VE-Y-VOTA (1-888-839-8682) that provides Latino voters with information on every aspect of the electoral process. On Election Day (and Election Eve), the hotline is connected to the Election Protection efforts and 1-866-OUR-VOTE, offering Latino voters nationwide a bilingual resource to get assistance and report any problems they may experience at the polls. “In less than a decade at the helm, Eloy has transformed Long Beach City College into a world class college that serves all facets of the community – students seeking to transfer, career technical education students, and adult learners. His successful work on boosting transfer rates for underserved students and on the Long Beach College Promise program has become a model for colleges statewide. 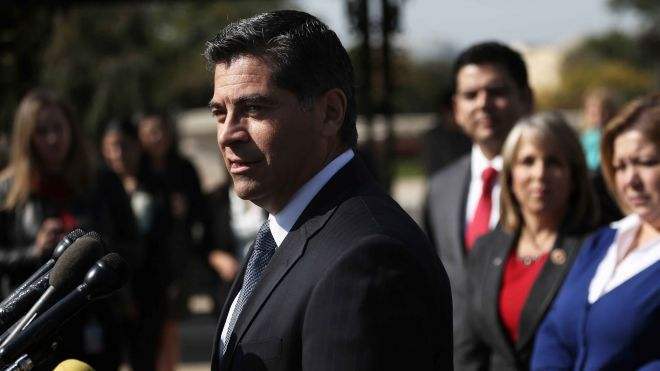 Rep. Filemon Vela (D-Texas) blasted the California Democratic Party for backing Attorney General Kamala Harris over Rep. Loretta Sanchez in the primary for U.S. Senate. 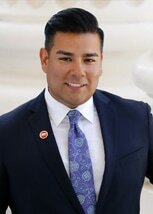 Making History: Who Are the Latinos Leading California's Legislature? _SACRAMENTO, Calif. - It was a bus route past a community college campus that got Anthony Rendon thinking there was perhaps a bigger world out there for him. For Kevin de León, an anti-immigrant ballot initiative, Proposition 187 drove him to go beyond the world he knew in his Logan Heights neighborhood in San Diego. 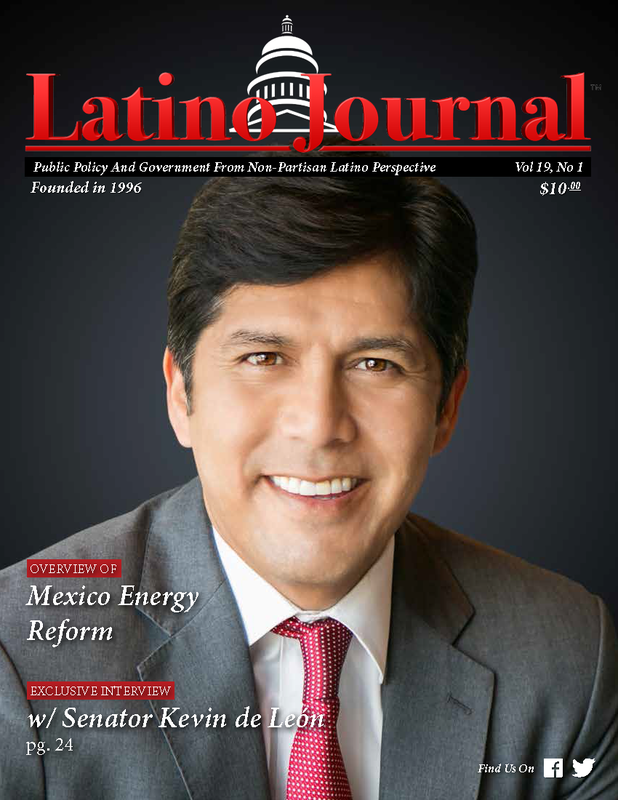 Today, Rendon and de León are the Latinos in charge at the California Legislature. 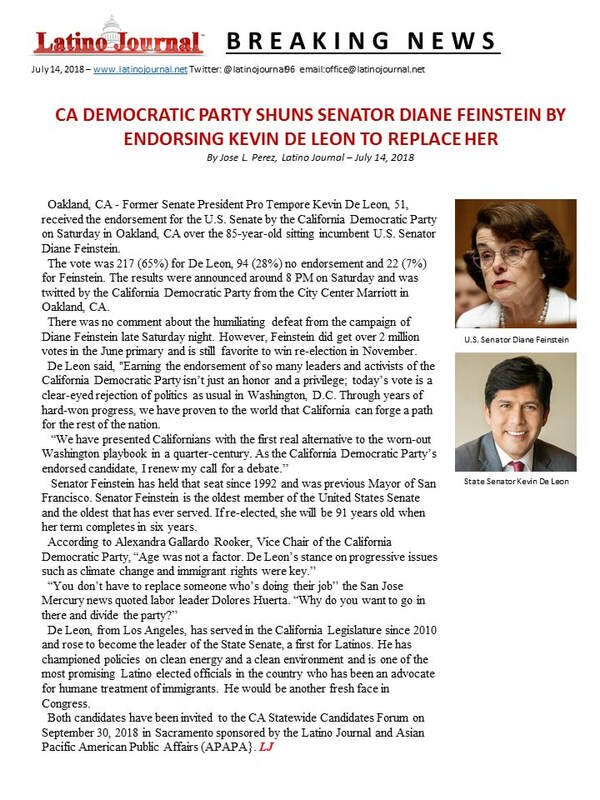 Rendon, 48, is speaker of the California Assembly and de León is the Senate President Pro-Tem. “Tonight’s action is disappointing, unprecedented and, based on the facts, entirely unjustified. Since the day she was hired, the Chancellor has given her unwavering devotion to fulfilling the fundamental public mission of UC Davis and doing everything the UC President and Board of Regents have asked her to. By any measure – and according to numerous voices throughout the Davis and Sacramento communities -- her leadership has helped put the university on a path to globally recognized excellence and historic diversity. More Californians than ever before – including more women and more students of color -- are receiving a world-class education at UC Davis under her stewardship. This smacks of scapegoating and a rush to judgment driven purely by political optics, not the best interests of the university or the UC system as a whole. The Chancellor welcomes an independent, objective investigation and a full release of all relevant documents and public records. Gov. 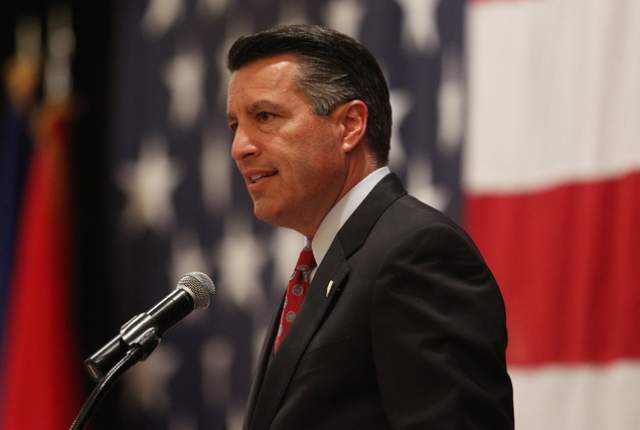 Brian Sandoval on Saturday endorsed Ohio Gov. John Kasich in the Republican presidential primary. Sandoval also joined his campaign as a national co-chair. The legal challenge to President Barack Obama’s actions on immigration gained the support 43 Republican senators who argue that the president overstepped his constitutional authority in unilaterally expanding programs for millions of undocumented immigrations. Led by Majority Leader Mitch McConnell, the senators filed a friend-of-the-court brief in the case of United States v. Texas on Monday – a lawsuit with 26 states challenging Obama’s actions. The Supreme Court is set to hear arguments later this month with a rule possibly coming in June. 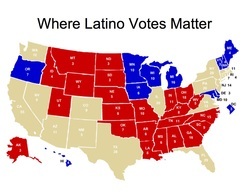 What is the Latino Vote Anyway? According to Pew, Latinos of Mexican origin are 53.5 percent of the electorate, 13.8 are Puerto Rican, Cubans are 6.6 percent and Central Americans and South Americans together are 18.8 percent of the eligible voters. A group Pew refers to as "other Spanish" is 7.9 percent. READ MORE. 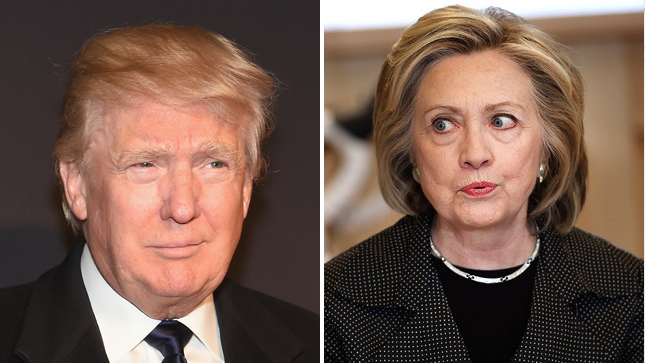 Latino vote: Will the sleeping giant finally choose the next president? Rudy Zamora senses history in the making for that long-sleeping giant in the presidential election: the Latino vote. He will become a first-time voter in the November general election, taking one step toward erasing Latino voters' spotty record of registering and actually going to vote. 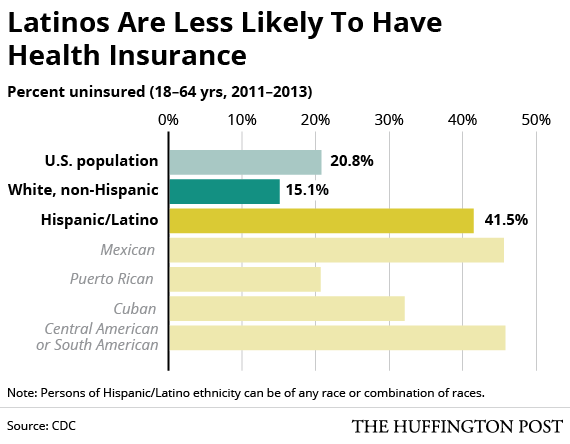 Leading up to the 2016 elections, media should be careful not to perpetuate the same myths about Latino voters that many pushed in 2015, including portraying Latinos as a monolithic voter bloc exclusively interested in immigration or superficially attracted to Hispanic or bilingual candidates regardless of their policies, and suggesting this growing demographic will be a "non-factor" in 2016. READ MORE. 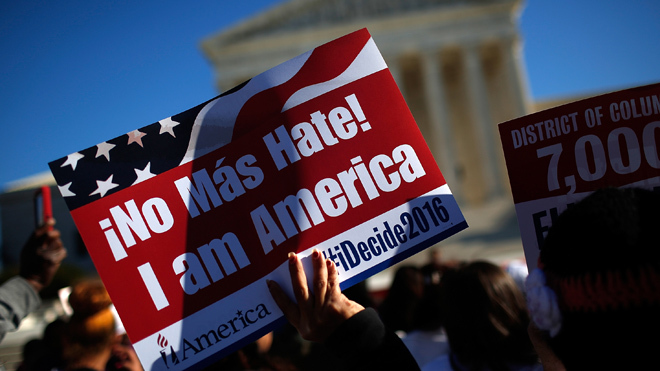 The Supreme Court may change ‘one person, one vote.’ This would hurt Latinos and Democrats. On Tuesday, the Supreme Court heard oral arguments in the case Evenwel v. Abbott. The main issue in the case is who must be counted when district lines are drawn. The “one person, one vote” principle in operation since the 1960s has typically been interpreted to mean all persons — including people who cannot vote, such as children and non-citizens. The suit brought by Evenwel against the state of Texas seeks to change the definition to eligible voters. 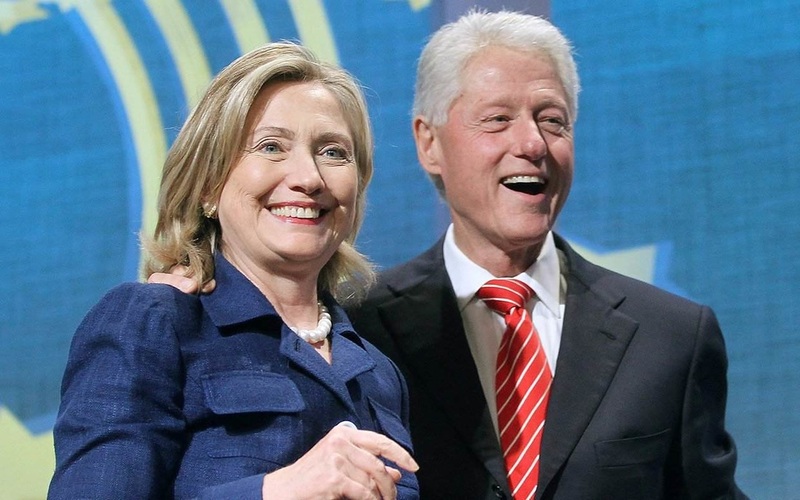 Two Clintons. 41 years. $3 billion. 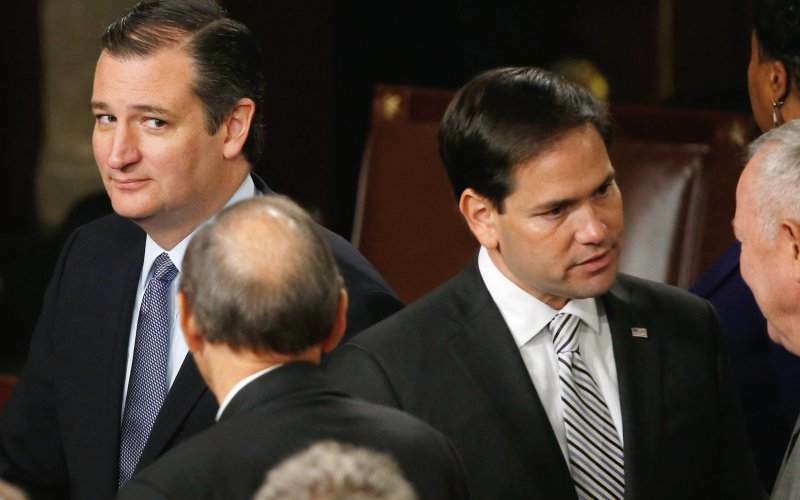 Why Aren’t Marco Rubio and Ted Cruz Hispanic Enough for Whites? On September 17, 1787—exactly 228 years ago today—the nation’s founders signed the Constitution of the United States. Each year on this date, Americans celebrate Constitution Day, also referred to as Citizenship Day. To mark the occasion this year, the White House Task Force on New Americans—which President Barack Obama established last year to improve the civic, economic, and linguistic integration of immigrants and refugees—is launching the Citizenship Public Education and Awareness Campaign. The campaign promotes the importance of U.S. citizenship and provides free citizenship preparation resources for those eligible to become citizens. The goals of the campaign are to invite permanent residents to learn more about citizenship, ensure that permanent residents and community organizations have access to trusted sources of information, and provide those working toward citizenship with access to service providers. Becoming a citizen through naturalization allows an individual to exercise one of the most sacred rights and responsibilities bestowed upon Americans by the Constitution: the right to vote. In order to fully exercise their voting rights, citizens over age 18 must first register to vote. 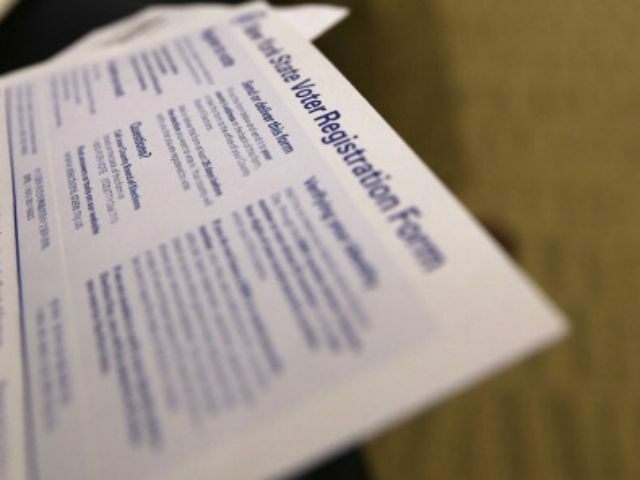 In celebration of Hispanic Heritage Month, which began two days ago on September 15, a coalition of more than 100 organizations launched the Hispanic Heritage Month of Action, an on-the-ground and digital campaign to urge Latinos to register to vote. The Republican party is launching a new wave of outreach to Latinos to mark Tuesday's onset of Hispanic Heritage Month, as the front-runner in the party's presidential race continues to alarm party insiders who fear he could alienate the fast-growing ethnic group with his criticisms of people living in the U.S. illegally. 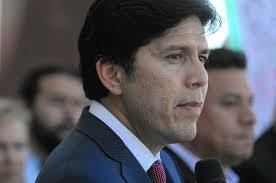 Senate leader Kevin de León (D-Los Angeles) is author of a contentious climate change bill on gasoline use and renewable energy. 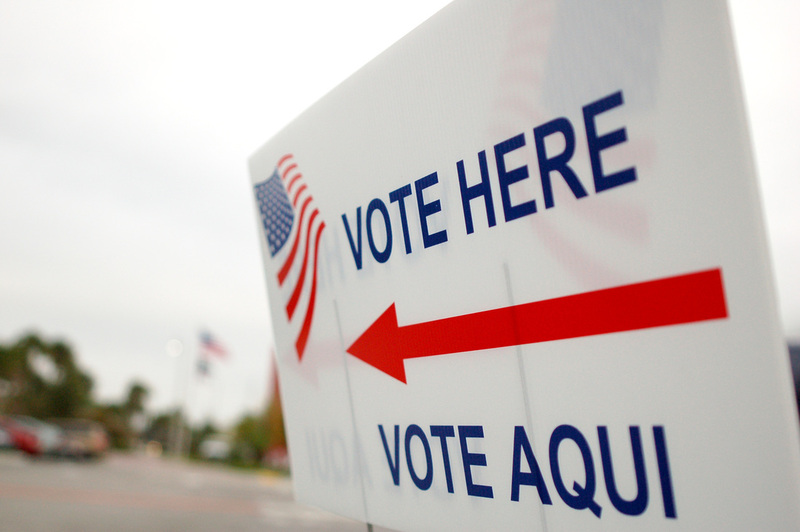 Every 30 Seconds, a Latino Reaches Voting Age. You Read That Right. Republicans and Democrats looking for voters in 2016? Every 30 seconds, a Latino turns 18 and becomes eligible to vote. That's about 66,000 every month, or 800,000 every year, according to the Pew Research Center. Latino millennials represent an untapped voting bloc for Democrats and Republicans alike. They are growing faster than other ethnic groups and are mostly American citizens. They are more likely to be bilingual and more likely to use mobile technology. READ MORE. 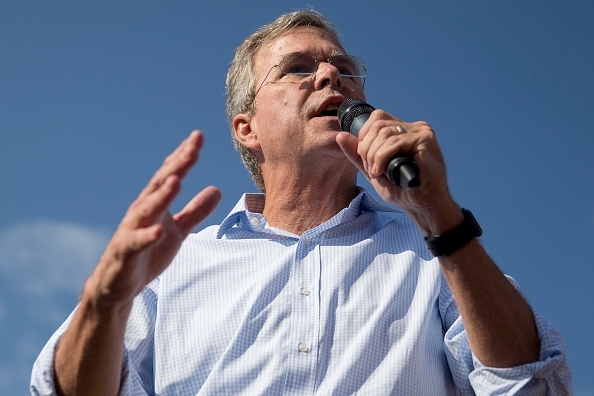 Jeb Bush, former governor of Florida and 2016 Republican presidential candidate, speaks to attendees at the Iowa State Fair Soapbox in Des Moines, Iowa, U.S., on Friday, Aug. 14, 2015. Sampling a fried Snickers bar and sidestepping a few hecklers, Bush made his way through the Iowa State Fair on Friday as he tried, and at times showed signs of struggling, to present himself as a fresh voice in the Republican presidential field. Hillary Clinton’s campaign called out both Scott Walker and Donald Trump for their positions of support for extreme anti-immigrant policies. Recently the Congressional Hispanic Caucus Institute (CHCI) led a delegation of leaders for a summit and meetings with Silicon Valley company executives to discuss a roadmap to bridge the diversity gap. With Latinos averaging 4.5 percent and African Americans 2.5 percent of the Silicon Valley workforce, the sector is missing out on top diverse talent. We had a constructive dialogue with glimmers of positive trends, but we know Silicon Valley has the tools to hack its diversity problem. READ MORE. Hispanics are living longer than whites or blacks – and are surpassing the life expectancy of other groups – according to a comprehensive report released by the Centers for Disease Control and Prevention on Tuesday. The data used for the report came from health surveys, death and U.S. census data and covered the years 2009 through 2013. California Latino voting strength is only half their proportion of California's population, the report said. They hold 1 in 8 state Senate seats and an even smaller percentage of supervisorial chairs. Arizona Law That Banned Mexican-American Studies May Be Discriminatory, Court Rules A federal appeals court on Tuesday ordered a trial to assess whether an Arizona law that was passed to ban a Mexican-American studies curriculum in Tucson's public schools intentionally discriminates against Hispanics. READ MORE. Should California Create its Own Commission on Hispanic Affairs? That discussion will occur at the CA Latino Policy Summit on January 30 in Sacramento. The Latino Journal, is convening thought leaders from throughout California representing policy, corporate, community, labor and academic leaders to ponder whether lifting the Latino community's fortune by tackling education, economic development and civic engagement is now necessary to sustain the long-term quality in the life of Californians. Charter Communications helped to prepare and distribute via their cable television network the video below to increase the Latino vote. We sincerely appreciate this collaboration and sincerely thank the company for stepping up to the plate. Latino Get Out To Vote Message from the Latino Journal and Charter/Spectrum Communications. Latino Journal is very excited to release the Special Soccer Edition, featuring Dorene Dominguez on our cover. 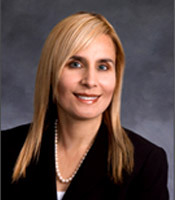 She's part-owner of the Sacramento Republic FC and the only Latina owner of a professional soccer club. See the full-digital version here. Jose L. Perez, Publisher and CEO of the Latino Journal is getting his feet into soccer! The sport is played by more Latinos in the U.S. than any other group and Latino youth are positively affected in countless ways by being involved in soccer. Through local soccer clubs, non-profits and the MLS, the Latino Journal is taking a closer look at how public policy and government initiatives are aiding in creating a health-based connection between soccer and American Latino families. "Soccer's fans are young and growing. The two demographic groups most passionate about soccer are young adults -- those ages 18 to 29 -- and Hispanics. Demographers expect the Hispanic population to triple by 2050 making up roughly one-third of the population . And Hispanic sport preferences differ starkly from those of other Americans. Twenty-six percent of Hispanics say that soccer is their favorite sport to watch, followed by football (22 percent), basketball (14 percent) and baseball (13 percent). In contrast, only 3 percent of white non-Hispanics Americans say soccer is their favorite sport. Hispanics also report greater interest in the World Cup with 56 percent saying they are likely to watch the tournament, compared to 20 percent of white non-Hispanic Americans." Martin O’Malley Announces Candidacy for President: Can He Win the Latino Vote? 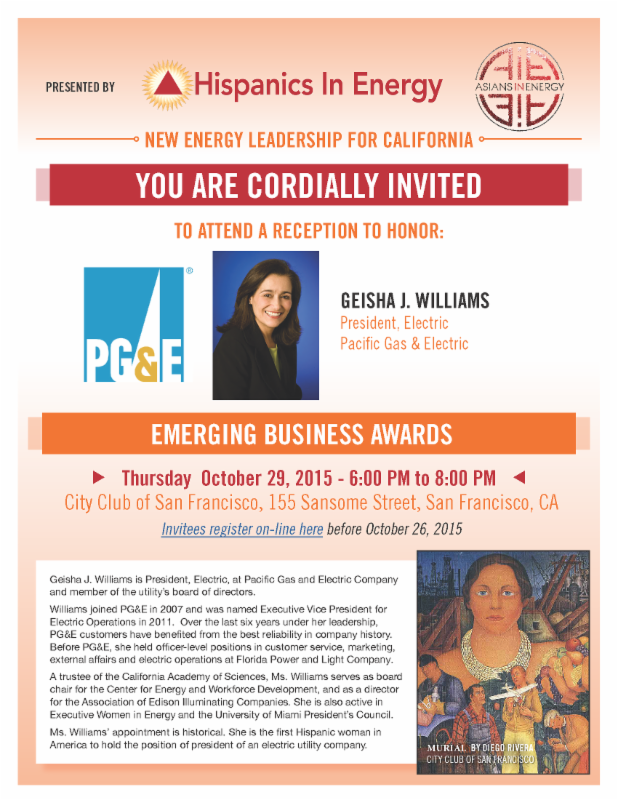 Hispanics In Energy (HIE) is a community-driven, non-profit organization designed to facilitate Hispanic inclusion in America’s energy industry. It is a resource for the energy industry, utility companies, municipalities, elected or appointed officials with oversight responsibility of energy related policies and practices, and communities on comprehensive energy matters. Visit the website here. 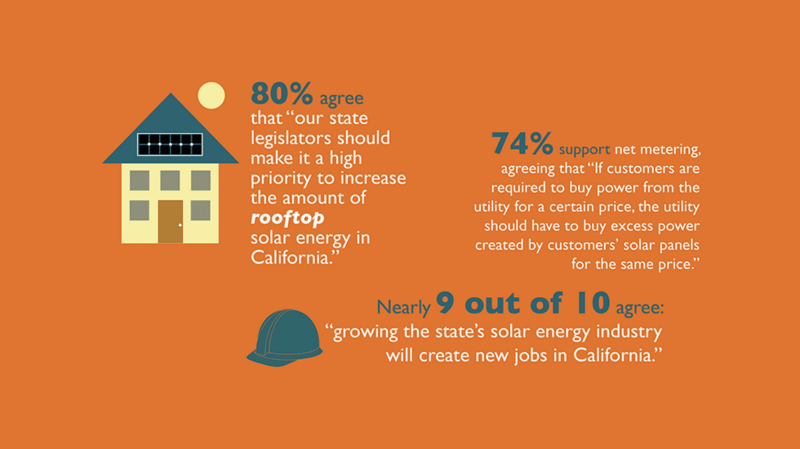 Poll results were finalized by the William C. Velasquez Institute (WCVI) to reveal the large majority of Latinos in Southern California support and want to see a shift toward rooftop solar energy in our communities. The findings are very similar to those of a survey done last year, and further support EHC's movement for green, clean energy and illustrate the increasing prioritization of solar panel energy in Latino urban neighborhoods most affected by air pollution and dirty energy. Latino Voters Are Crucial To the Environmental Movement; Studies Prove Most Consider Climate Change 'Very' Important With around 54 million Latinos living in the United States these day, Latino voters are easily a major factor in determining the outcomes of elections. Latinos Are Making the Call for Climate Action. Now Leaders Should Listen. Hispanics are increasingly more likely to vote for candidates who support climate change action and cleaner energy. Gov. Chris Christie on Wednesday urged the community's most powerful business leaders to flex their political muscle and "start offending people" to fix the country's education system. Educational attainment among U.S. Latinos has been changing rapidly in recent years, reflecting the group’s growth in the nation’s public K-12 schools and colleges. Over the past decade, the Hispanic high school dropout rate has declined and college enrollment has increased, even as Hispanics trail other groups in earning a bachelor’s degree.